I was playing against Slaanesh Daemons and Skaven. The Orc Boys charged some Daemonnettes, failed their fear test (I forgot to re-roll for the ASB) and were then brutalised before doing very few wounds in return. The Warboss died in a challenge with a herald, so they fled and were run down. The Trolls did slightly better against a pair of Fiends (regeneration and stomp are both ace) but with the death of the General they succumbed to stupidity and stumbled forward only to be charged by some Plague Monks and their huge rolling tower of death a.k.a. the Plague Censer. This didn’t end well. Meanwhile the Night Goblins failed an animosity test and bickered meaning they had to reform to prevent a rear charge from the Daemonettes rather than tooling across the board into the Skaven. The fanatic killed a couple and Steadfast kept them around for a couple of turns but ultimately the ladies were always going to win and they duly fled and were run down. After my departure from the game the Skaven simply rolled over the remaining followers of Slaanesh like a kind of brown, furry juggernaut. 4 I need to paint some more models. Had a very ejoyable weekend at Warhammer World playing in James Morris' excellent El Cid Campaign. Here are some images of the games I wasn't playing in. I'll do some sort of report (with plenty of pictures) of the games I did play later this week. It was a really well organised and great fun event. With several different periods well represented (including Warmaster and The Great War). The next one won't be at Warhammer World (they're no longer taking external bookings) but hopefully another event will be happening in May. Full details can be found on the Historical Wargames web site. Got some spray from Warlord who were nice enough to give me a discount. Thanks chaps. With that in hand I finished these chaps off. 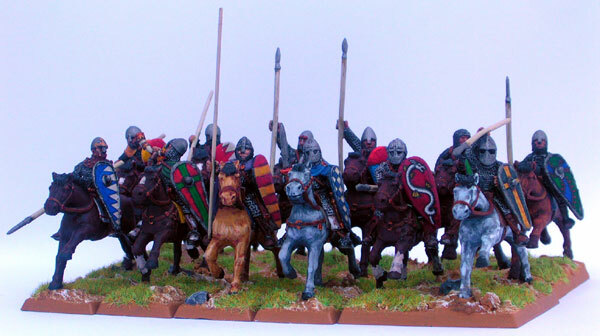 Purchased for my Christian army they're pressed into service for the weekend as Mercenary Knights. As is now to be expected they are of course Gripping Beast models. And I've used Little Big Men transfers on the shields. They need a flag, but that mght have to wait. There would have been more pics but the camera battery went flat so you'll have to tune in tomorrow for more updates. So I finished the archers. Looking pretty good, if I do say so myself. 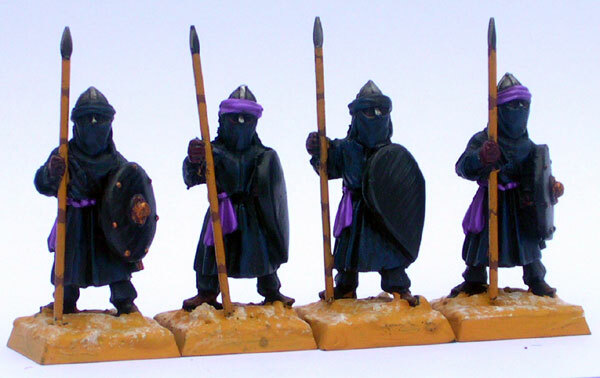 Going back and re-highlighting a few bits (notably the faces) made them look a little less drybrushed and messy. And basing always improves things. Lovely, lovely Gripping Beast models. Still need a little work and some basing and some varnish. So I best get my skates on and head off to Warlord Games post haste! And do not worry gentle reader I am taking more than four of them. In fact I'm taking a ridiculously huge point-sink of a unit of them! 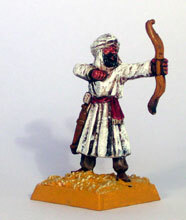 This week's Painting Stick is bought to you by the words Gripping Beast and Berbers and the colour White. It's the second half of the unit deal. I don't need to have these finished for the weekend, but I'd quite like to. We'll see how we go. 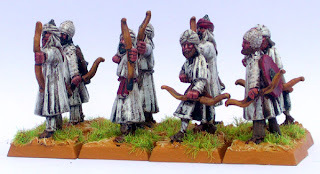 The archers from last week just need a spray with some Matt Varnish and they're done. Pics tomorrow, hopefully. 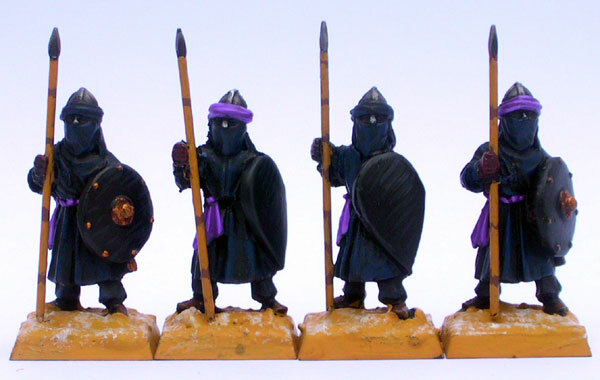 Here are the Spearmen from last week's painting stick. 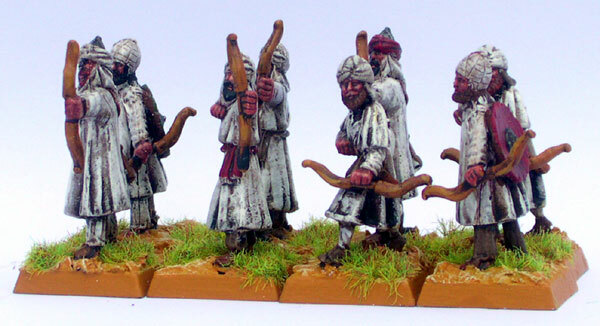 I'm much happier with these so far than the archers which look a little too drybrushed to me. These are better quality overbrushing IMO,whch is nice. These do need to have their bases finished by next Saturday. Finally to welcome my new follower Bishop Lord here are some Warmaster Ancients Saxons (beacuse his blog covers mostly little soldiers). Pendraken I think (but it's so long since I bought them can't be sure). 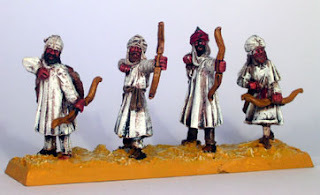 I did what I claimed in this post and sprayed them brown before using Foundation paints and a healthy coat of Devlan mud. 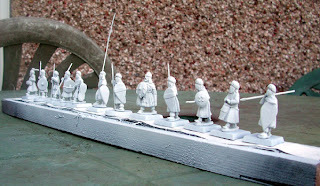 I think they look pretty good and I've alread cracked on with some Fyrd. What's on the Painting Stick, Vic? The WAB event at WW is in less than two weeks. So I need to get a wiggle on if I'm not to go cap-in-hand to James and borrow some soldiers. 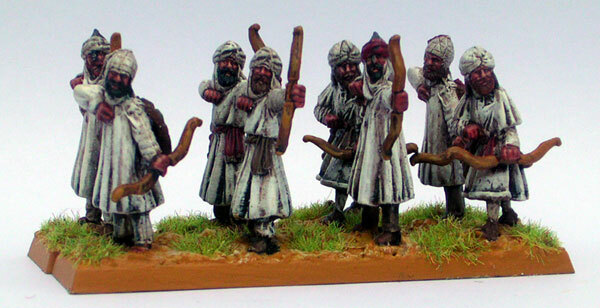 So onto the spraying stick went these 12 Berber Spearmen, half of a unit deal that picked up from Darren of Gripping Beast. Jolly lovely models they are too and I'm afraid my spray white, cover in Devlan Mud, overbrush white technique won't do them ay justice at all. Still, it'll be quick and it needs to be. I got them on Saturday at the Derby show, of which it would be remiss of me to fail to mention the "light and airy" venue ((c) every other wargames blog). Derby is a splendid show but sadly I had my son and heir in tow who only wanted his Armorfast Sherman for his school project and then to leave, so couldn't tarry as long as I'd have liked. I did, however bump into my Follower Jim. He's off to the WAB do too and is "expecting big things of my camels". I think by big things he means run off the board in every game on about turn two. Anyway here are some pictures of some Gripping Beast Berber archers that are inching towards completeness. This is pretty much what the spearmen will look like (although without bows and with pointy sticks, obviously). They need a bit of a touch up, some varnish and some static grass and they'll be ready to put the fear of Allah into any Christian knights that happen to show up*.